Cedar Birdhouse Functional and Decorative for the garden or home decor. 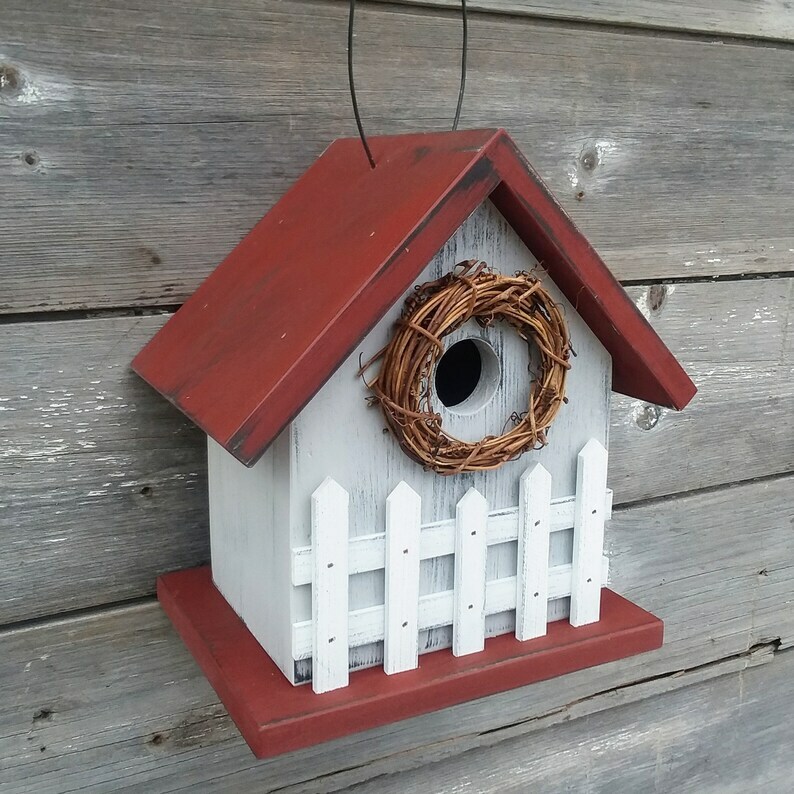 You will receive the exact birdhouse pictured with all it's unique wood and paint characteristics. 8.25" high (peak of roof) x 7.75" wide x 5.5" deep. Wire hanger is approximately 3.5" high. Cedar is an ideal wood for outdoor use. Birdhouse is painted with exterior house paint.